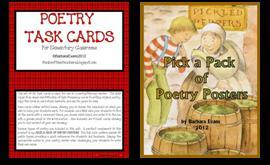 It's time for another poetry idea freebie. 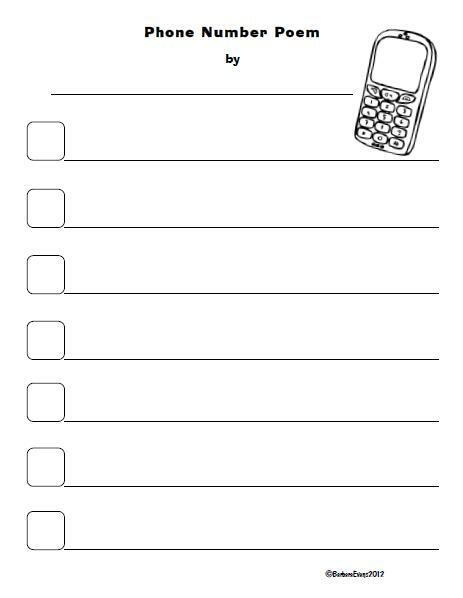 Phone Number Poetry is a fun, "phone-tastic" activity for your poetry center or poetry unit. Better yet, it's incredibly easy! Have each student write his/her phone number vertically on a piece of paper. Each digit represents the number of words to write in that line of the poem. (If the phone number contains a zero, they should write 10 words on that line.) After selecting a topic, they can begin writing their free verse poem. The Phone Number Poems produced will have a very interesting ring to them! I'm sure you will enjoy the messages. 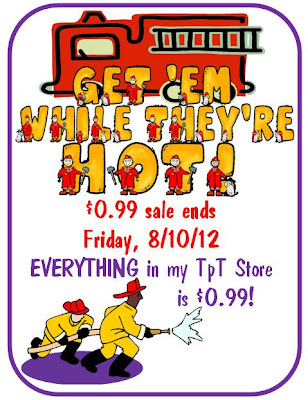 Both are available in my TpT Store or my TN Shop.